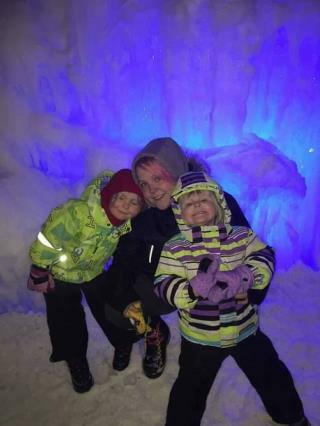 (Newser) – A Canadian mother is paralyzed and her life upended after she threw herself in harm's way to save her children, CBC reports. Jessica Dicks was camping July 3 when a 30-foot tree started falling toward the tent that held her daughters—ages 6, 4, and 10 months. "I remember running for the tent and then that's it—blank," Dicks says. Three weeks later, she woke up from a medically induced coma. The tree had fallen on her, leaving Dicks with broken teeth, a collapsed lung, a broken rib, 20 staples in her head, and rods and screws in her back. She was also paralyzed from the chest down. Doctors tell her she'll never walk again. Canada has universal health care. Things not covered? Dental and Drugs and likely any devices (wheelchair etc) she needs. That's a good enough cause to donate. However, I'm sorry she won't get to have the life she and her husband planned.......but that happens to millions of people.